Meeting Kyle as he was getting ready for his day of I Do, I felt instantly at home by his grounded, down to earth nature and relaxed priority to be sure everyone was having a good time. 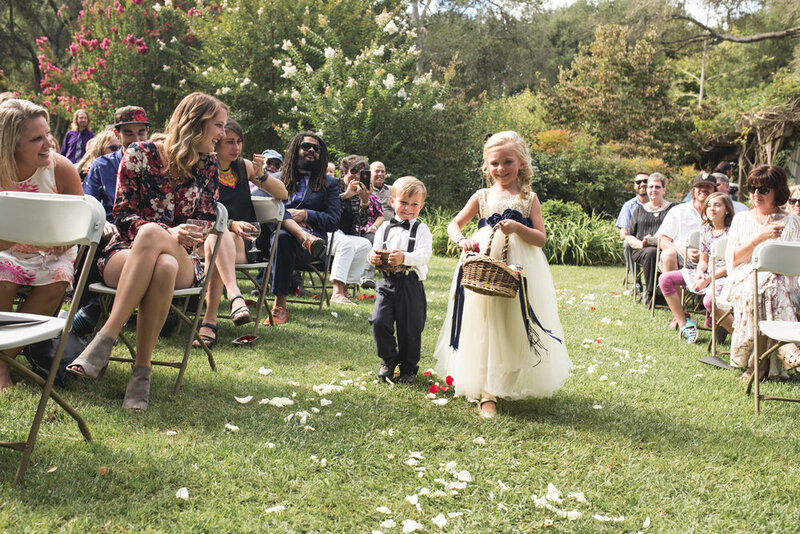 His special gift offerings of personalized rolling papers, match boxes and Grateful Dead drink cosies to his wedding party was touching as his innocent childlike enthusiasm to deliver overflowed. Later, I met Jessie while documenting their first look. 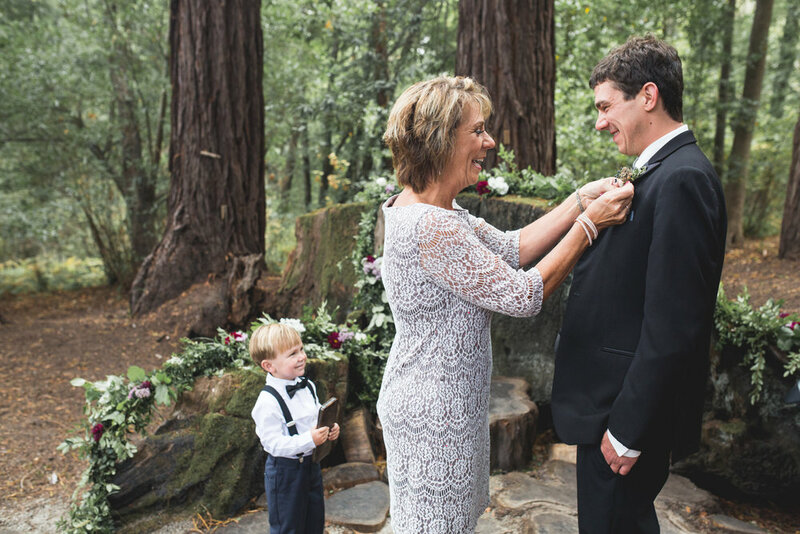 The couple shared an invigorating, fresh love, which appeared to touch both bride and groom deeply, upon their meeting in the shady redwood grove. 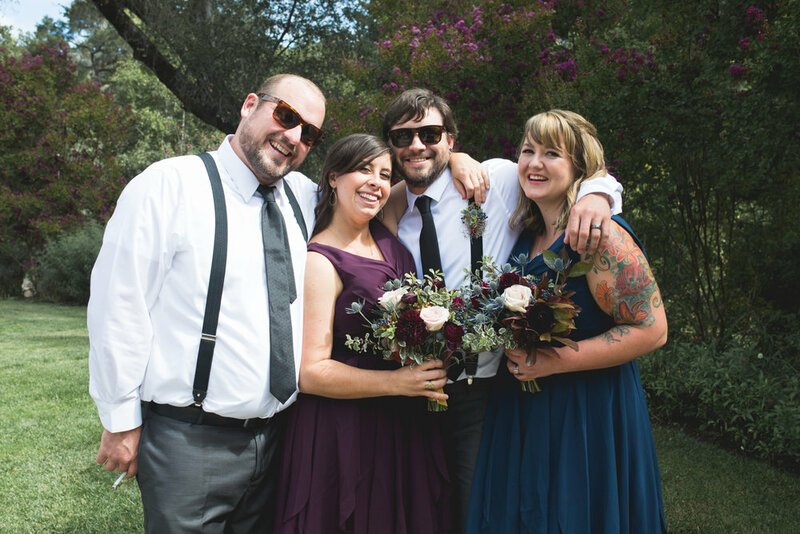 Jessie & Kyle were married in the beautiful, countryside of Santa Cruz at The River House. 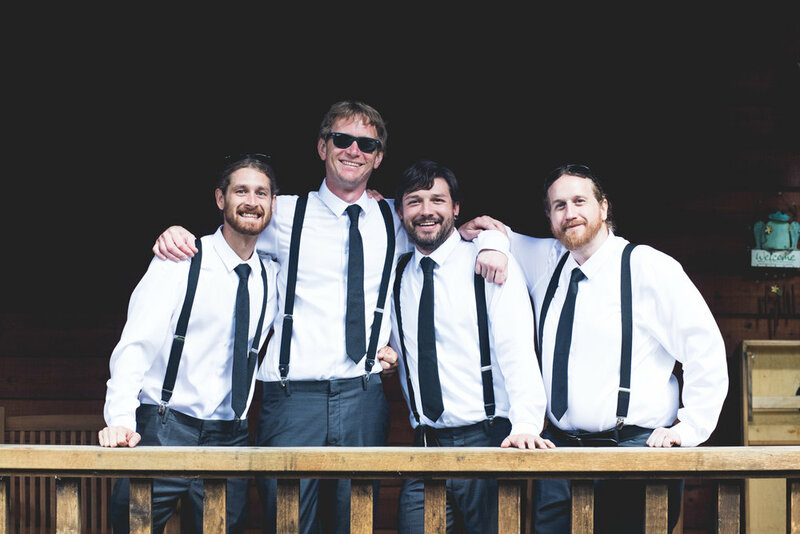 Friends and family joined for the ceremony, where a live band played out before vows were exchanged. 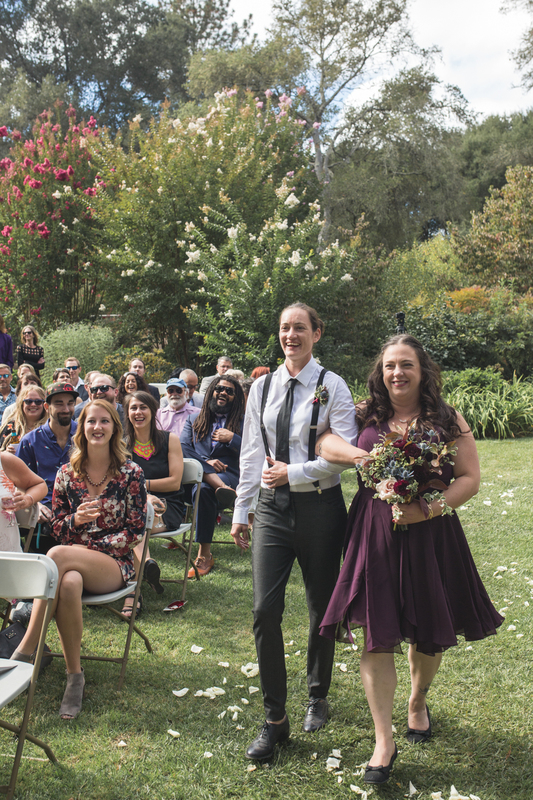 Later, the wedding celebrations moved to the Museum of Modern Art & History in downtown Santa Cruz, where the entire museum was open to explore. Dinner was served outside and the kids had their own area with pizza delivered and a supervisor, offering art supplies. Upstair on the rooftop, for adults only, was a cannabis lounge, offering pre-rolled joints, labeled mason jars full of fluffy, green buds, custom match boxes and a bong to be enjoyed with friends and art sculptures as the sun set in Santa Cruz. The whole day and nights focus was steeped in good times and party vibes. The fresh, fun-loving feels of these two was contagious and a nice reminder of lighthearted living.